The 5 Hottest Bathroom Trends of 2018 to Include in Your Remodel — Jostar Interiors Ltd. If you’re taking on a bathroom renovation in 2018 (or even 2019), the first thing you need is inspiration. To help, we compiled all the latest bathroom remodelling trends on the horizon for the year, giving you the inside scoop on everything that’s about to break. From fixtures to framing, here’s a look at what’s coming up. Ready to set a bathroom budget? Find out how much your renovation will cost. 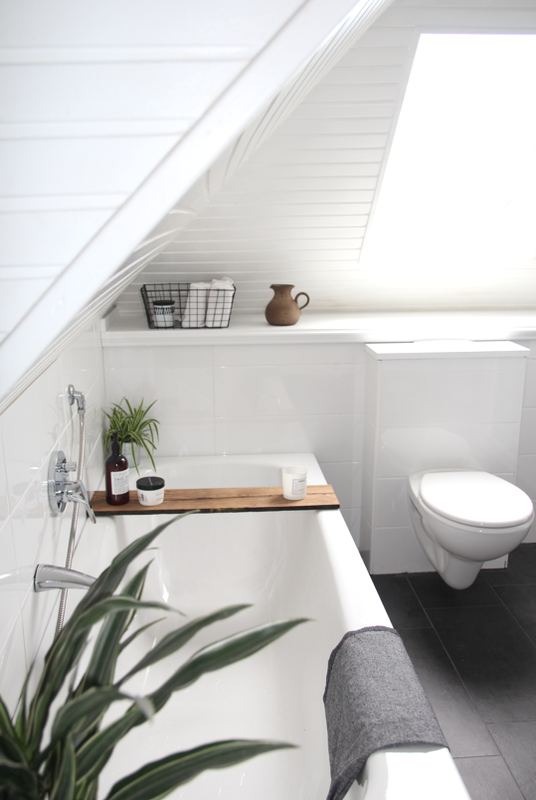 Plants add lushness and life to any room, but especially so in your bathroom. If you’re okay with some humidity in your space, tropical plants with a big, leafy presence are a natural choice. In 2018 we’re seeing design trends move towards large plants that make a statement in a room. These plants are often trees or shrubs, and are big enough to be freestanding, adding a bright and natural element that ties to nature. As you can see, having freestanding plants makes your space feel unexpected and fresh, letting you infuse style into your bathroom, which can be an often-overlooked area. If you want to include plants in your bathroom remodel, just make sure you have or can create the right light to keep the plants happy and healthy for as long as you’re living with them in your home. Adding muted lighting, deep tubs, and tons of texture to your bathroom remodel will make your home feel more like a spa, giving you your own personal escape every single day. Not that you need an excuse to indulge, but it’s never been more on-trend to add an element of luxury to your bathroom during house renovations. This dramatic soaker tub elevates the space and creates a stress-free and calming oasis to just let the stress of the day just slip away. In 2018, we’re seeing Nordic minimalism play a huge role in shaping design throughout the home. During home renovations today, it’s becoming more and more common to want to curate spaces where less means better. Here, simple and well-made elements really have their chance to shine. The bathroom is no exception to this trend, and smooth countertops, natural wood grain, and modular construction are emerging in bathroom spaces. This trend in particular is sweeping quickly because its simplicity means it can be achieved on almost any budget. With Nordic minimalism, the desire to declutter and par down takes shape, and bathrooms like this one are left feeling light, peaceful, and ready for relaxation. Black is a classic, but you might not consider it for your bathroom fixtures. What we love about fixtures like these is that you don’t have to choose between silver and gold (or something else completely) for the accent metals in the rest of your space. The black makes a stunning statement, and one that’s easy to adjust your own personal style around in years to come too. The humidity in your bathroom makes displaying art slightly more nuanced, but far from impossible. As you can see in the space pictured above, photography on the walls adds a level of personalization that’s hard to achieve with just wallpaper or paint alone. 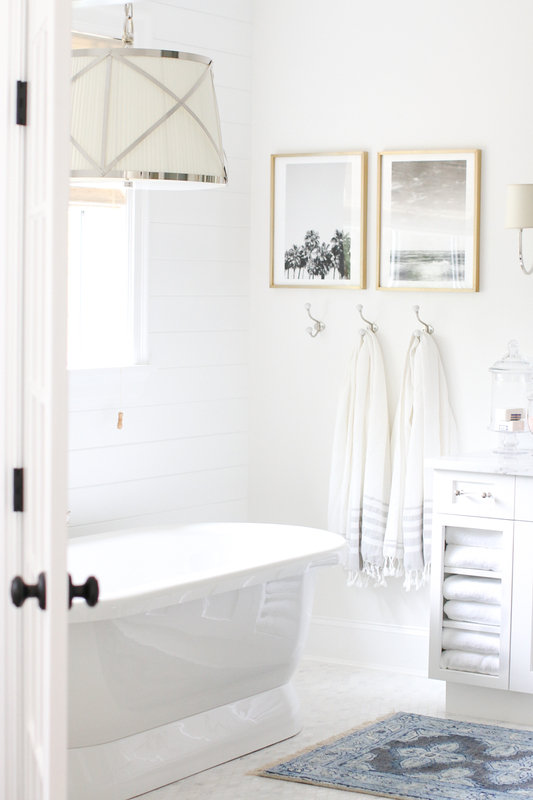 With any art you have on display, make sure you account for humidity in your bathroom remodel. Add an effective fan, keep windows and doors open to allow for maximum air flow, preventing humidity from building up in your space. Nervous about moisture build up under your frame? Consider adding a sculpture or installation instead of hanging wall art. This will not only save you from potential damage, but will also make for a more interesting, unexpected and unique room. When it comes to bathroom design, 2018 is all about curating functional spaces where you can feel at ease at home. Overall, the shift is moving towards uncluttered areas, statement pieces, and well-designed layouts that feel fresh and timeless. Now that you’re feeling inspired, the next step is to get an idea of how much a bathroom renovation will cost with our pricing guide.